A badass, swole mutant cyborg from the future should probably have a high-tech revolver or something like that on his hip, right? Instead, Deadpool 2’s Cable has a teddy bear hanging from his belt, and it might tease the inclusion of another mutant from the Marvel comics with close ties to Cable: Hope Summers. When Ryan Reynolds revealed the first few images of Josh Brolin in costume as Cable earlier this week, the photos included a lot of things fans expected: a robotic arm, a glowing eye, huge muscles, a dope haircut, grisly scars, and a huge, futuristic-looking gun. But the teddy bear seemed like an odd choice. Considering Ryan Reynolds’ vast love for this R-rated franchise he’s helped build from the ground up, it’s hard to imagine this being just a random troll, which means its deliberate placement must hint towards something. The most likely explanation is a tease about Cable’s connection to Hope Summers. Hope is a Messianic, omega-level mutant who first appeared in X-Men #205. She’s so important to the X-Men because she was the first new mutant to be born after a temporarily crazy Scarlet Witch depowered almost the entire mutant population of the world at the end of the “House of M” story. Mutants tend to view her as either the messiah or the antichrist, and Cable protects her from those who wish her harm. 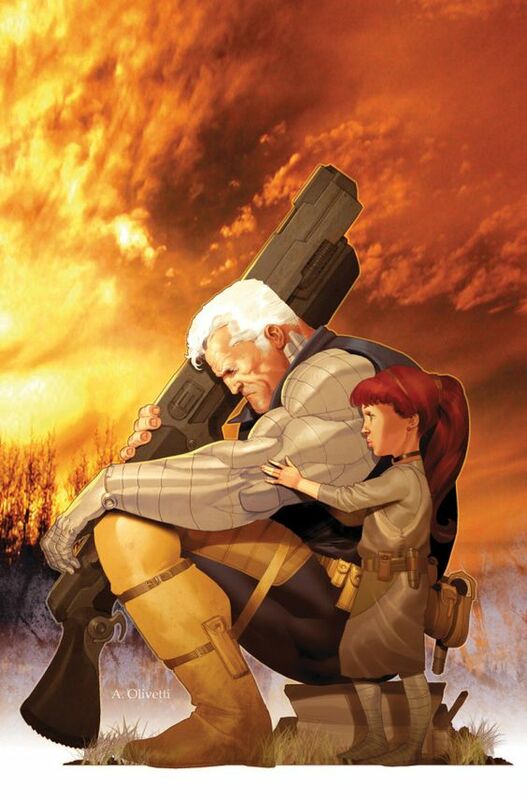 In the comics, Cable saved Hope as a baby and adopted her as his own (they have no biological relation). The two traveled throughout time, evading assassins and other threats as she grew up. Deadpool 2 could take place during one of the instances where Hope and Cable get separated, with Cable meeting Deadpool while looking for her in the present day. Cable and Hope travel together for quite some time. It’s also worth noting that the Deadpool 2 teaser trailer that debuted with Logan back in March included an Easter egg that also hinted at Hope’s inclusion in the upcoming film. The outside of the phone booth says "Nathan Summers" (Cable's real name) and the inside says "Hope." Though there’s no confirmation that Hope factors into Deadpool 2 in any way, Cable’s teddy bear hints toward something. Deadpool 2 is slated for release on June 1, 2018.